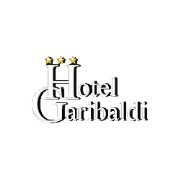 HOTEL GARIBALDI, which has been recently renovated, is located 500 meters from 'Padova Est' highway exit, in a very quiet area and in a strategic position to visit Venice (30 minutes) and Padua (10 minutes). GARIBALDI HOTEL is equipped with 46 rooms on 3 storeys served by elevators; the rooms are comfortable, furnished with simple elegance and equipped with all comforts (air conditioning, minibar, hairdryer, Led TV 42", telephone, bathroom with shower), also offers; free Wi-Fi and Internet Point, Mediaset Premium Football Package and Cinema, a large garden with private parking, a generous sweet and savory breakfast buffet. The reception cordially welcomes guests 24 hours of 24 and the large car park behind the hotel, guarded by CCTV cameras, can host several cars and buses.